On September 25 the new record of my Quartet will be released on LAIKA records. I'm very happy about the release of the new CD Stefan Schultze Large Ensemble feat. 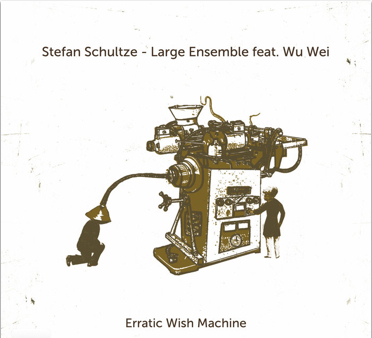 Wu Wei "Erratic Wish Machine". Great modern music for Big Band, check it out!!! 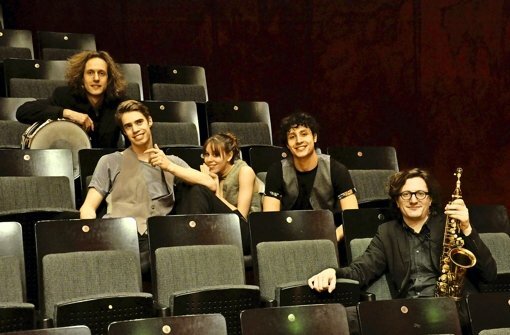 On April 4 there will be a special Concert at the Theaterhaus Jazzfestival Stuttgart. We are playing together with 3 Dancers of the Stuttgarter Staatsballett Elisa Badenes Vazquez, Pablo von Sternenfels und Jesse Fraser. I'm happy that the concert is already soldout, a video in the "Video"-Site will follow soon. The new CD of our Duo Doyna is released on Konnex Records. It's a live-recording from the Multiphonics Festival in Fulda 2013. 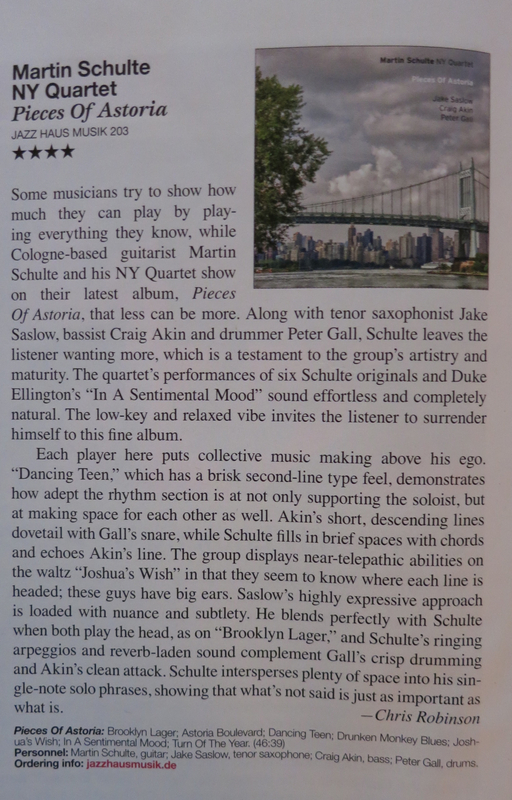 DOWNBEAT-Magazine writes: "played with precision and occasionally a marvelous expressiveness"
I'm very much looking forward to my first concerts in New York City after almost 5 years. The new CD of FUMMQ, "Once Upon And So On" will be released this month at JAWO-Records, check ot out! This September we are on the Road with the Stefan Schultze Large Ensemble again, we are playing a new Program featuring Wu Wei on the Chinese Mouth Organ. Also we do a recording in the Deutschlandfunk Studios. This Month I’m very much looking forward to 3 Concerts in Seoul, South Korea. The German Cultural Institute Seoul invited me to play my tunes with a great band, including Nicholas Biello (New York) on sax, Hogyo Hwang (Seoul) on bass, and Manuel Weyand (Seoul/New York) on drums. 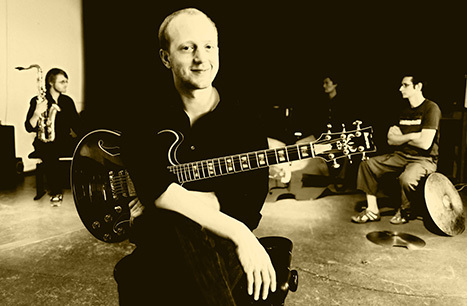 The last Martin Schulte Quartet-Concert will be on November 21 in Wuppertal. We are going to play a complete new programm, what we are going to record in May 2014. 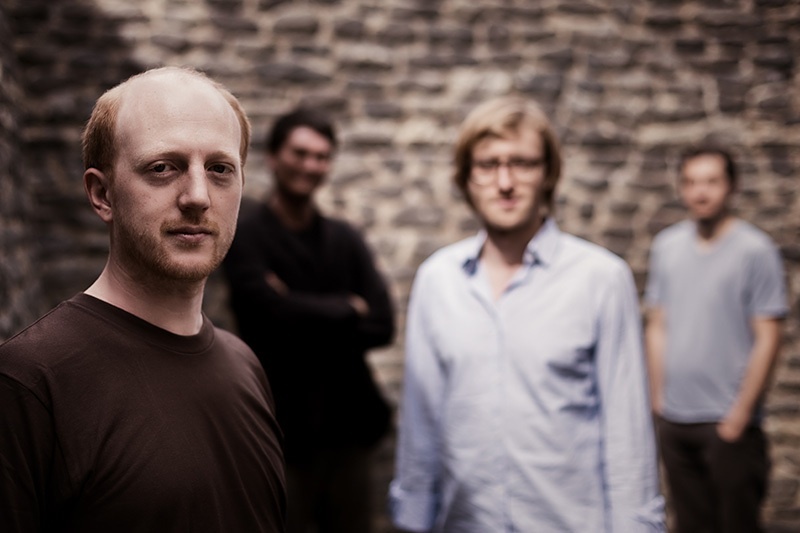 Here are 2 new Videos of my german Quartet, recorded in Düsseldorf. Enjoy! 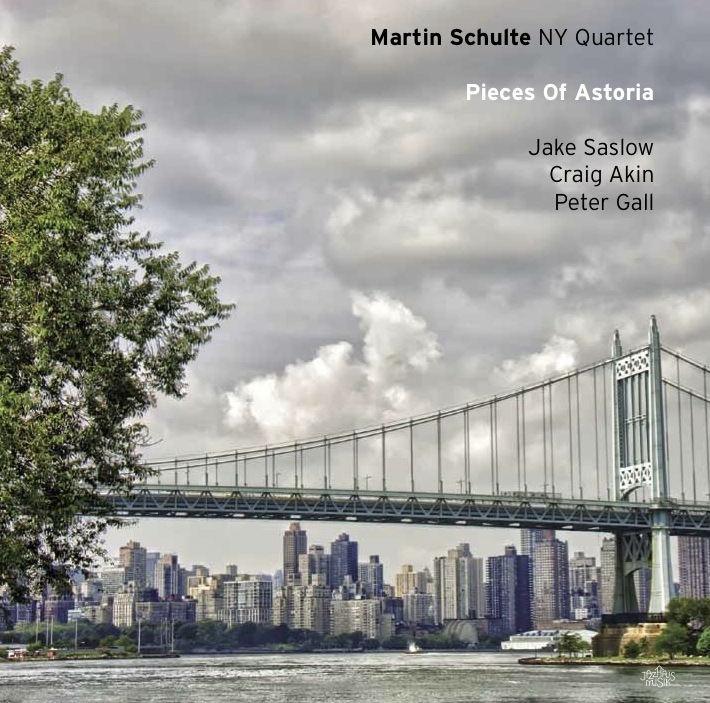 On October 27 my new record "Martin Schulte NY Quartet - Pieces Of Astoria" was released by the label JazzHausMusik. We did the recording during my stay in New York last year. You can listen to parts of a few songs here. 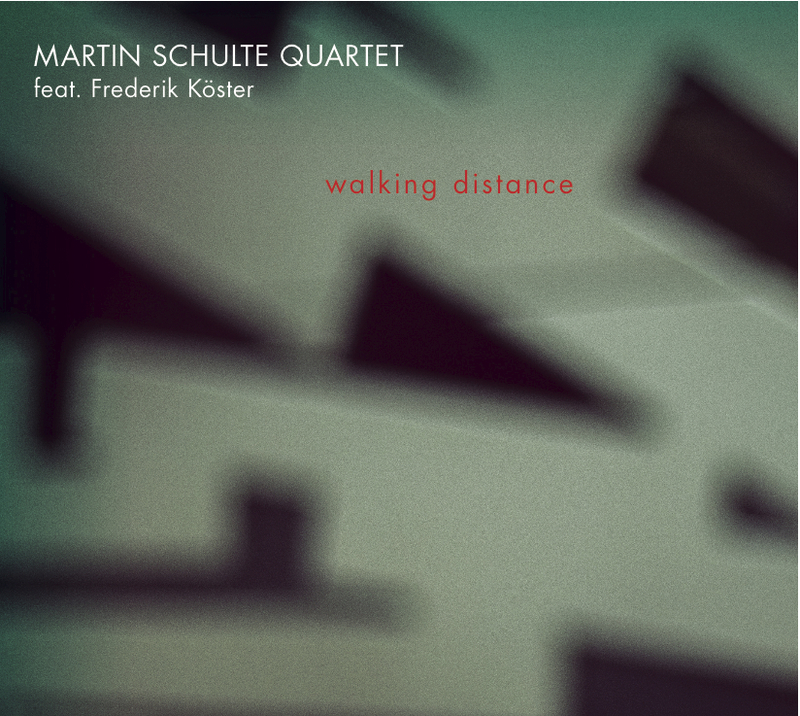 The first record of my Quartet (Martin Schulte Quartet - "In Transit") is released at the Label "JazzSickRecords". You can listen to a few samples in the music-page. Since June I'm back in Cologne. In the 2nd half of March I am touring with the Stefan Schultze Large Ensemble in Macedonia and Germany, and we are going to do a recording. Great band and great tunes, looking forward. 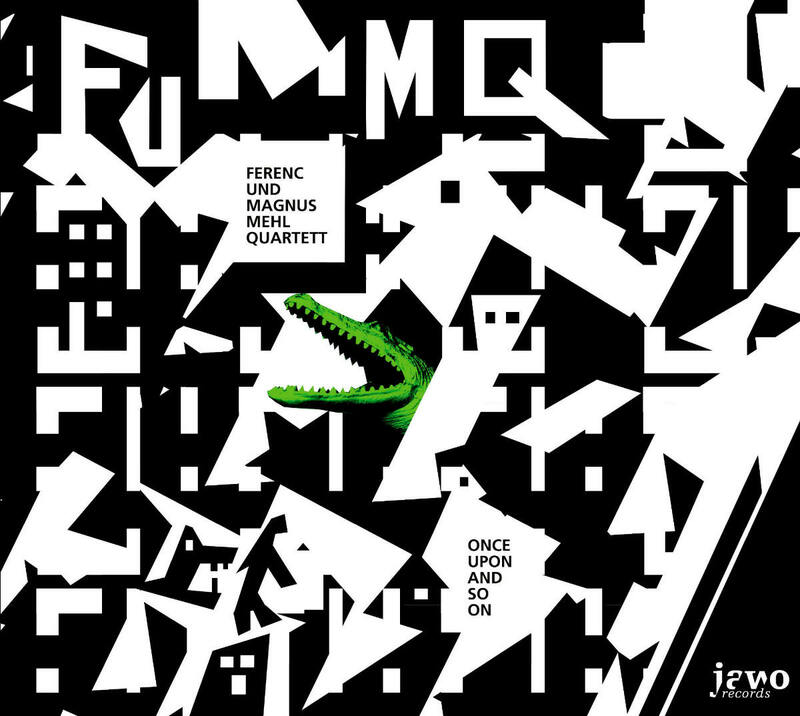 On February 26 the new CD of the Ferenc and Magnus Mehl Quintett feat. Jake Saslow will be released. I am on tour with FUMMQ and the New Yorker sax player Jake Saslow, alumnus of the Thelonious-Monk-Institute. We are also going to record a CD in the Bauer-Studios, it will be released soon. Since September 2009 I've been living in New York City to do the Master of Performance Program at the Queens College with a full scholarship of the German Academic Exchange Service (DAAD).